Originally from India, Joseph Israel has been working with Jesuit Refugee Service, an international organization for refugees in Africa, Middle East, and South Asia. The organization seeks to address not only emergency relief services to refugees but also provides k-12 education. He has a couple years of teaching experience in universities and colleges. He is keenly interested in harnessing technology for effective collaborative learning outcomes. Rebecca has over half a decade of teaching experience in both public and private K-12 schools in Texas & California. In addition to being a classroom instructor, Rebecca served as a Center Director for Head Start and mentored new teachers. Currently, she is a University Supervisor for baccalaureate students in their student teaching at California State University: East Bay. Rebecca stays active in the USF community as she serves as the chapter President of Phi Delta Kappa & is earning her Doctorate in Organization & Leadership. Changying has over 20 years of experience working in the visual design field, from both an agency perspective as well as a client perspective. She also serves on the board of directors for Art in Every Classroom, a non profit organization that strives to bring more art education to primary and middle schools locally and globally. 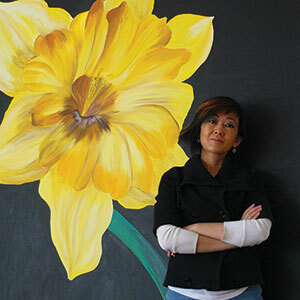 Changying has been teaching design courses at USF, Academy of Art University and Cañada College.